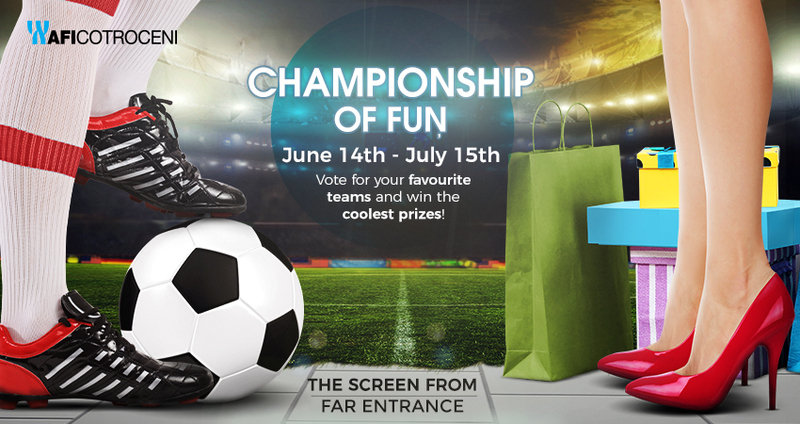 Until the 15th of July, you can be a player in the Championship of Fun and win cool prizes in the largest mall in Romania! Come to see the matches live and vote for your favorite teams and you have a chance to win! What do you have to do? If the team you voted wins the game, you can win cool prizes! *In order to claim your prize, please come with a shopping receipt from the day of the game.